In normal crafting/sewing world, we make one thing at a time. For example, find awesome piece of vintage fabric, and a pattern for a skirt. Cut out fabric pieces, sew, done. Simple. 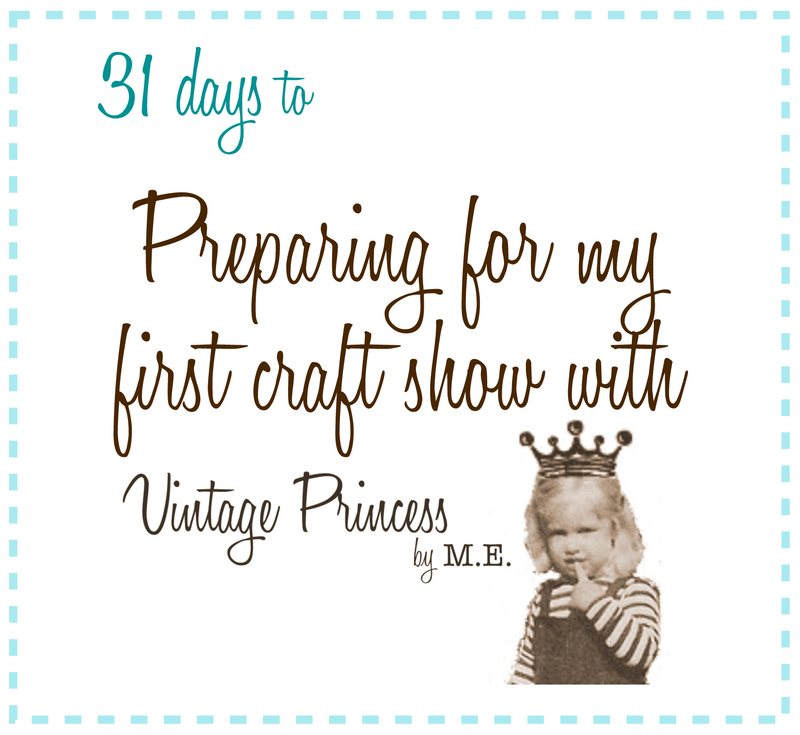 When preparing for a craft show, making lots of inventory, you could do it this way. But I think it takes longer. This is what I do (I might have mentioned this before by the way) spend a day cutting out as many skirts (or what ever) as I currently have fabric for. All the pieces, are then grouped and stacked together in a tray. 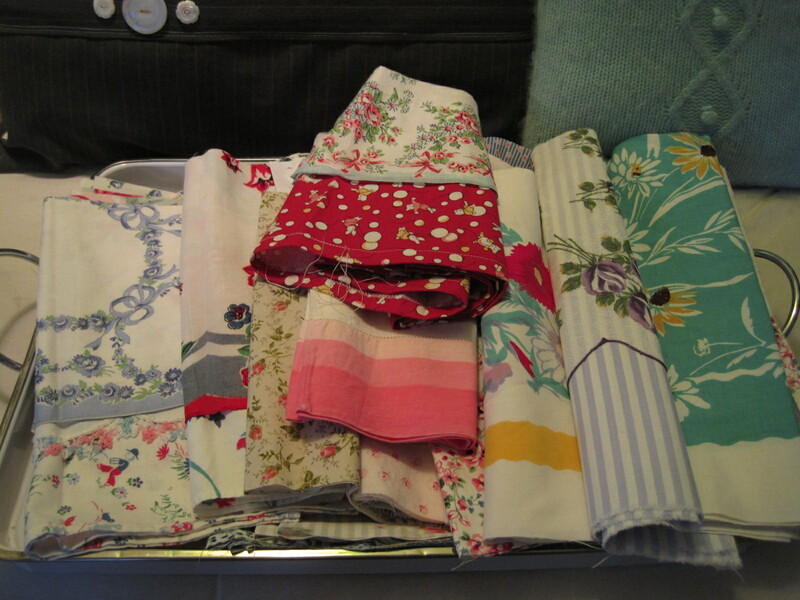 Here I have twenty skirts cut out of vintage fabrics, with there handkerchief “apron” cut and ready. The next steps, I will serge all the raw edges, hem the bottom, create the elastic casing at the top, put the elastic in and be done with twenty skirts all at once. Just like that, I feel like you have created a ton of stuff, and I have. I think it’s faster than cut one, sew one, repeat. Here is what the Vintage Handkerchief Skirts look like when completed. 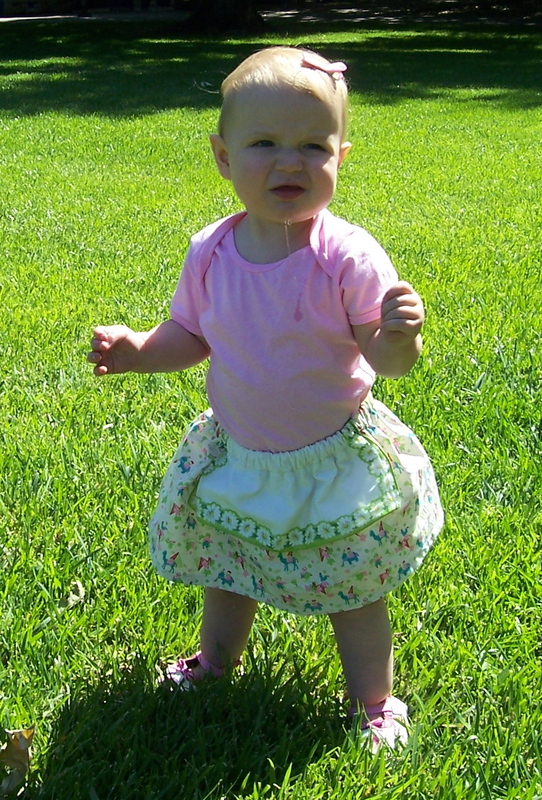 This is Elle, Kennedy’s BFF, from many many moons ago. So cute! to read all of this series, click here, and you should!